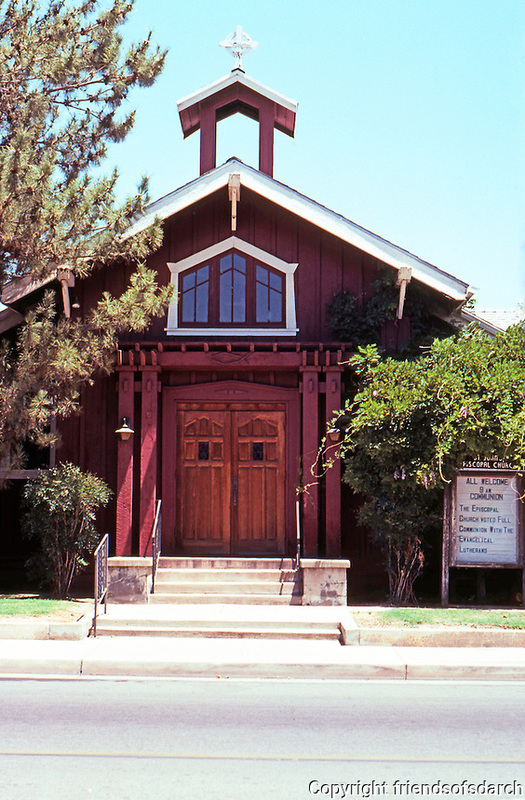 St. James Episcopal Church, Porterville CA, 1913; 1920. J.L. Roberts. "Pure Craftsman style--board & batten". Photo 2000.